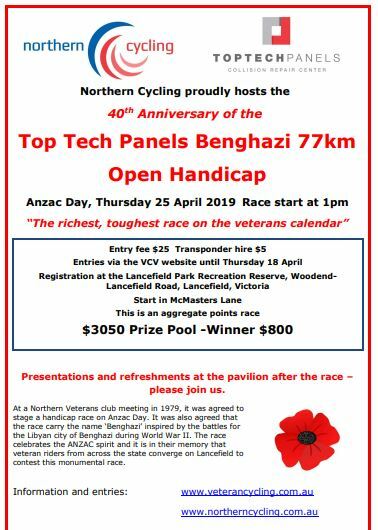 The Geelong Veteran Cycling Club was formed on October 14th 1977, at a meeting at the Geelong West Clubrooms chaired by Mr J.J. Stewart from Northern Vets Club. 15 people attended, and the first President was Reg Marriner, Stan Howard was the Vice President, and Neville Densley the secretary. The first race was held on November 3rd, on a Thursday evening, on the Fyansford-Gheringhap Rd at Stonehaven, a graded scratch race. The next year Sunday morning races started, and in March moved to Paraparap. The finish line was on Grays Rd close to the Hendy Main Rd intersection, and an amenity building erected near the intersection. The building was known as ‘Daves Dunny” in honour of its designer, Dave Scarsi. In 1987 the then president, Lance Hamilton was able to secure the use of the land where the current buildings stand. Daves dunny was relocated to this site, and a shed was built that now holds the mower, generator and other equipment, other buildings followed on soon after, all built by volunteer club members. The club owes a lot to Lance Hamilton and the volunteers of that time who had the foresight to set up the facilities that makes the club unique. In December 2014 the club changed it’s name to the Geelong & Surf Coast Cycling Club. The club has currently over 180 registered members, and is one of the strongest Veteran racing clubs in Victoria. Riders have figured prominently in VVCC open events, and the club has hosted many open events. The club continues to prosper in racing, and through the volunteer efforts of its members.